Product categories of PE Self-adhesive Bags, we are specialized manufacturers from China, PE Self-adhesive Bags, Environmentally PE Self-adhesive Bags suppliers/factory, wholesale high-quality products of Color PE Self Adhesive Bags R & D and manufacturing, we have the perfect after-sales service and technical support. Look forward to your cooperation! PE self-adhesive Plastic Bags, also known as sticky bags, self-adhesive plastic bags. As long as used in stationery, jewelry, food and other industries. Mainly using OPP/PE as the main raw material, PE self-adhesive plastic bags printing effect is very good, it is suitable for processing into a beautiful product packaging, such as card head bag, garment bag, bread bag and so on. 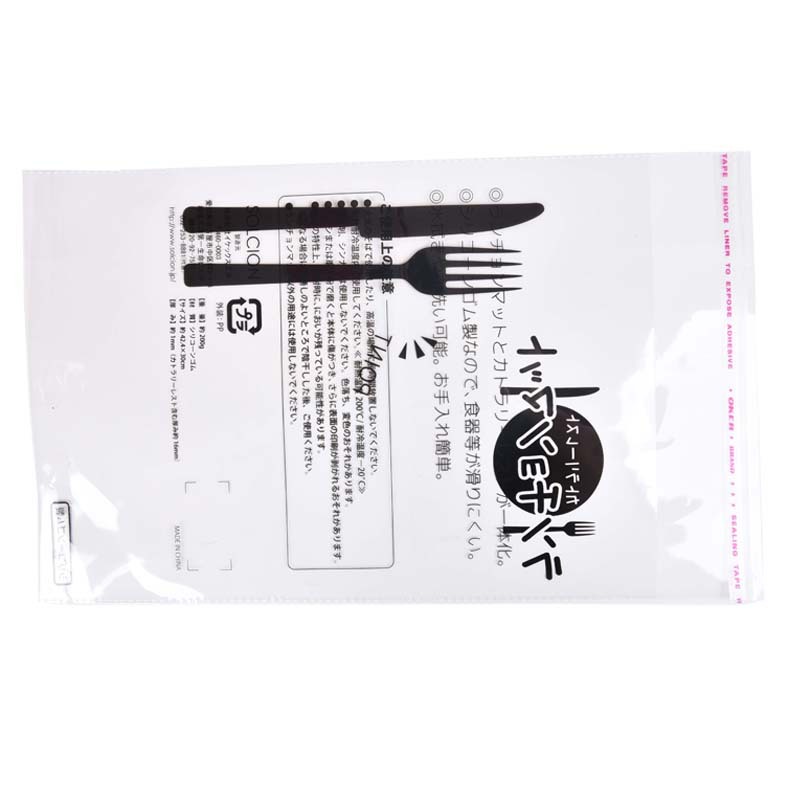 The PE self-adhesive plastic bags is transparent and is the most transparent material in the Plastic Bag type. The PE self-adhesive plastic bags is made like a mirror. But the product is relatively brittle, toughness is not good enough, easy to tear, it is generally sealed in the form of adhesive paste, product volume is relatively large or heavy, generally add environmental protection edge, to prevent cracking.